Films from the Basement has returned with its next installment featuring the fan made film Star Trek Renegades. Alex is finishing his finals in Mountie School, so Seth fills in. For some reason, we keep letting Seth pick the film when he’s on… after this week that may not happen again. See if Rich and Jesse can keep from setting their phasers on the Manhammer. We also had one of the guys drop from the call unexpectedly and we didn’t realize because Seth was on a rant. So towards the end you may hear some weird editing since we are by no means professionals. At this time we will blame that on Skype. 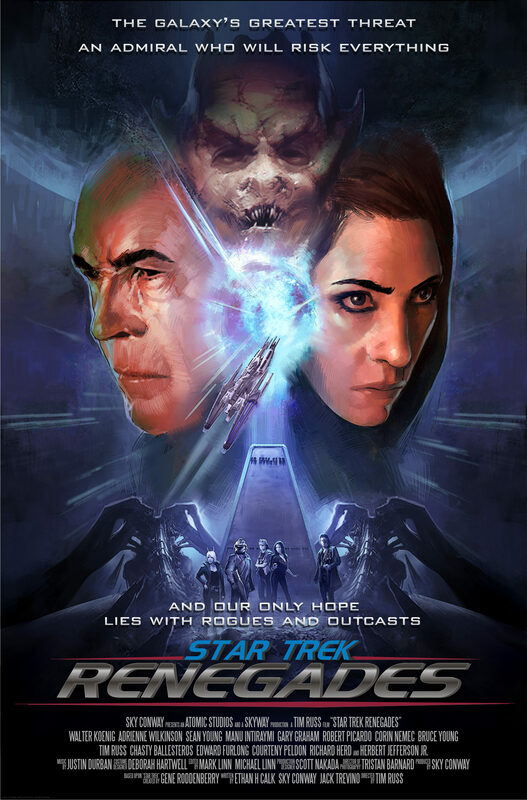 Star Trek Renegades is free to watch on YouTube if you want to punish yourself along with us. We’ll link it below for you.